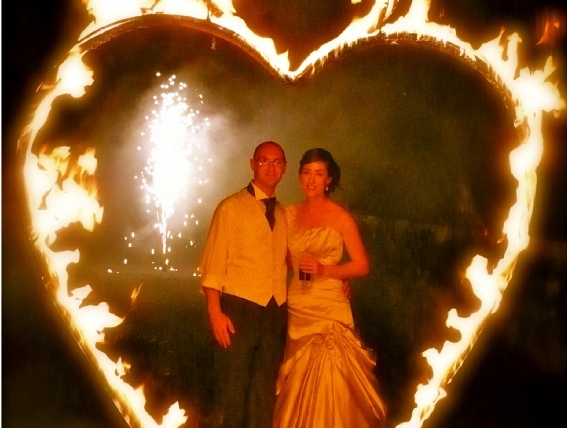 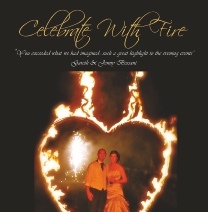 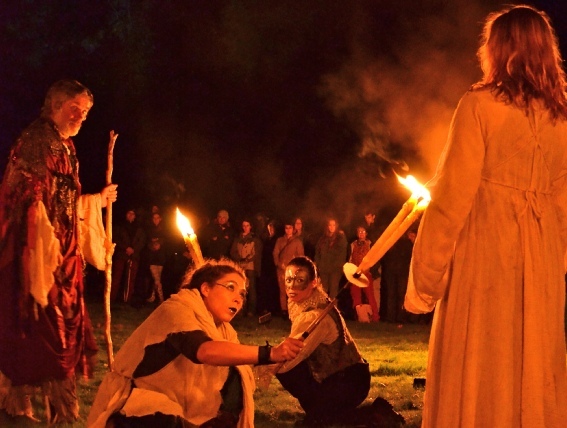 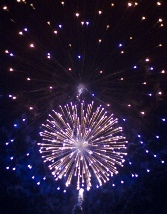 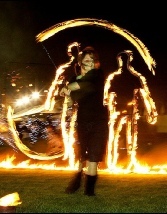 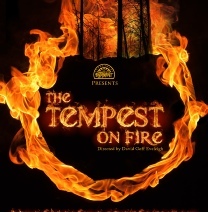 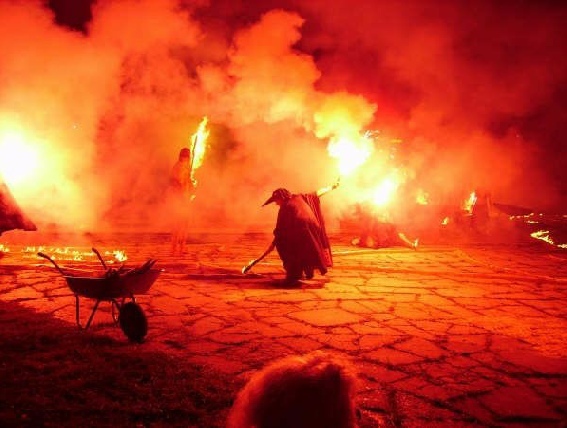 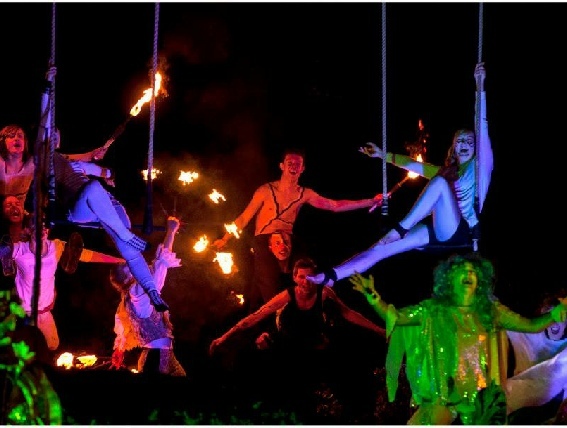 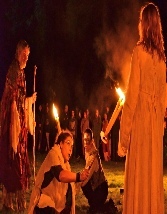 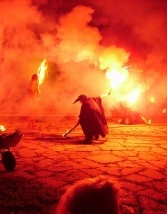 Devising / Directing spectacular elemental fire theatre, large scale community productions, festival openings and finales, outdoor theatre and concerts, weddings and party celebrations in the UK and abroad. 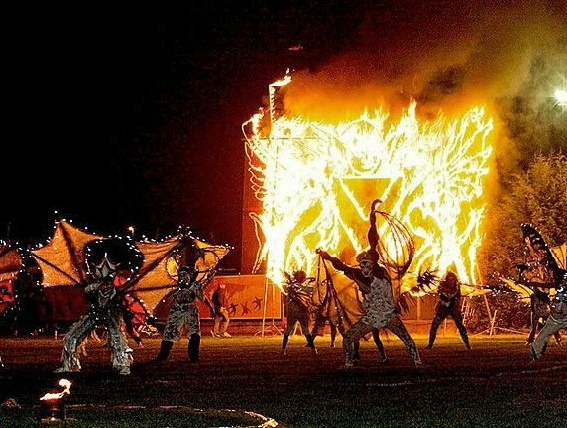 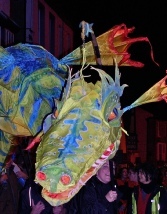 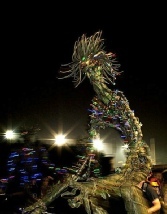 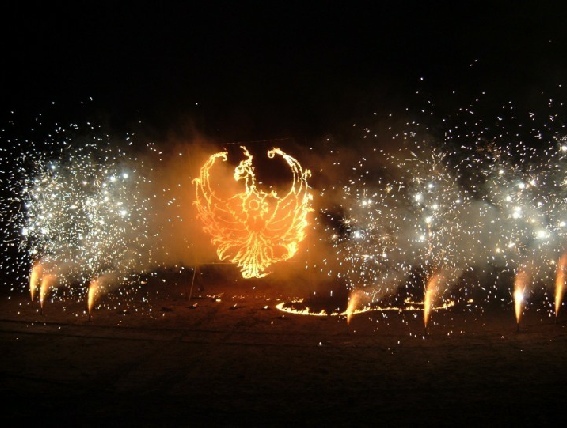 The Mix – Fire sculpture, fire labyrinths, fire trails, lantern making and processions, fire performers, circus artistes, pyrotechnics, fireworks, special effects, fire torches, dancers, musicians, artists, actors and technicians, stage management and production. 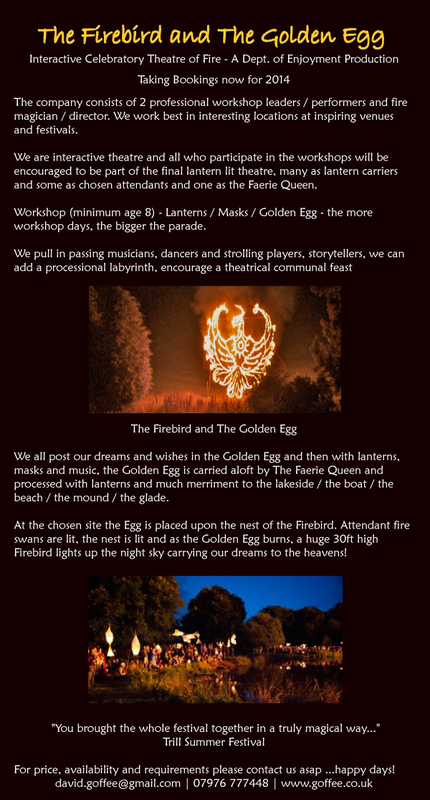 Locations - have varied from festival fields, beaches, industrial heritage sites, castles, parks, private gardens to frozen lakes. 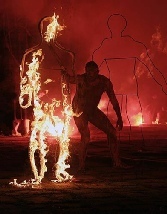 Burn time usually 15 to 20 minutes. 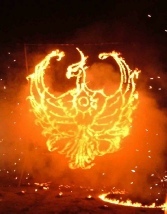 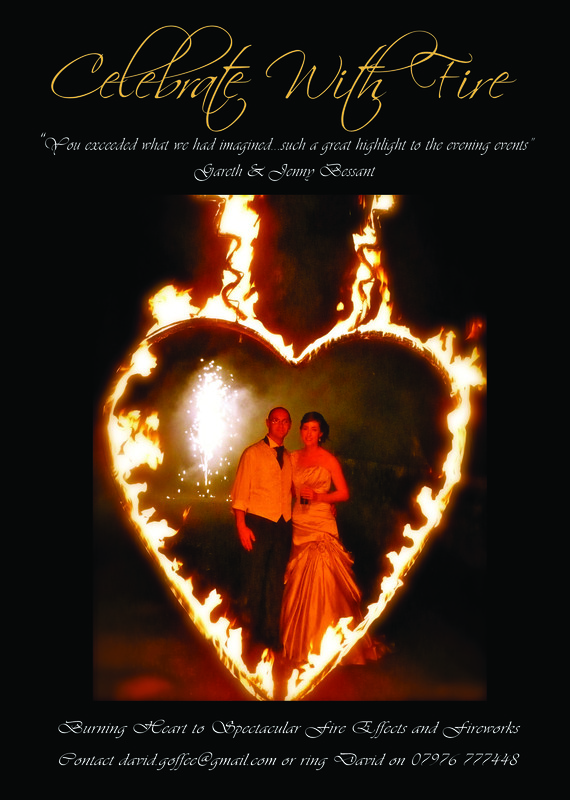 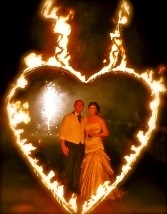 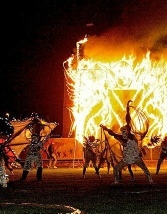 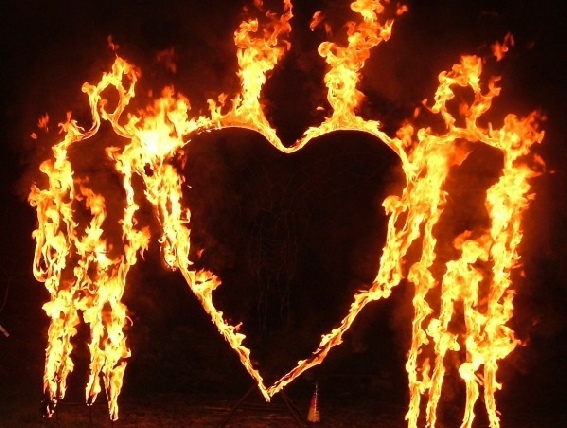 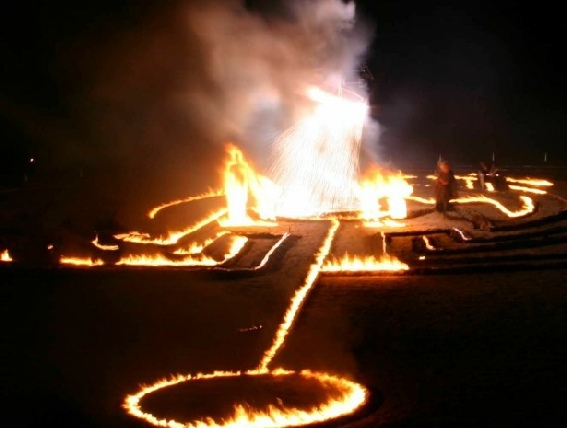 Visually stunning fire sculptures with clean uncluttered lines of fire. 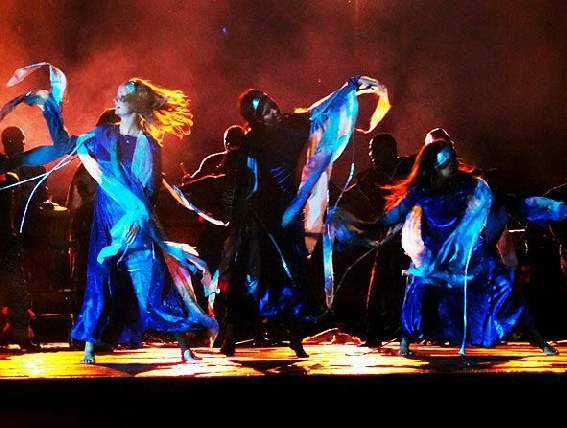 Iconic images. 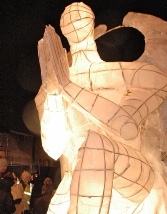 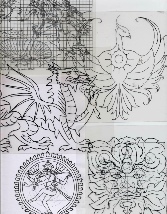 Size variable, upto 8 metres tall. 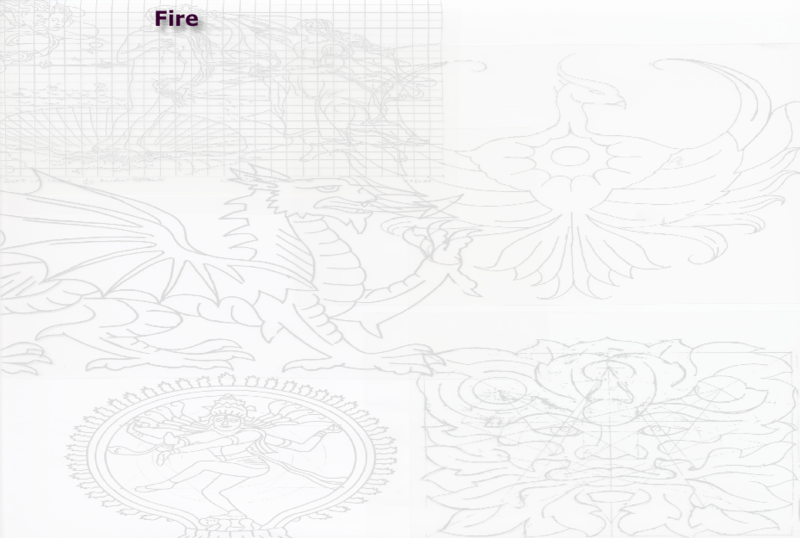 Commissions, collaborations and enquiries welcome….